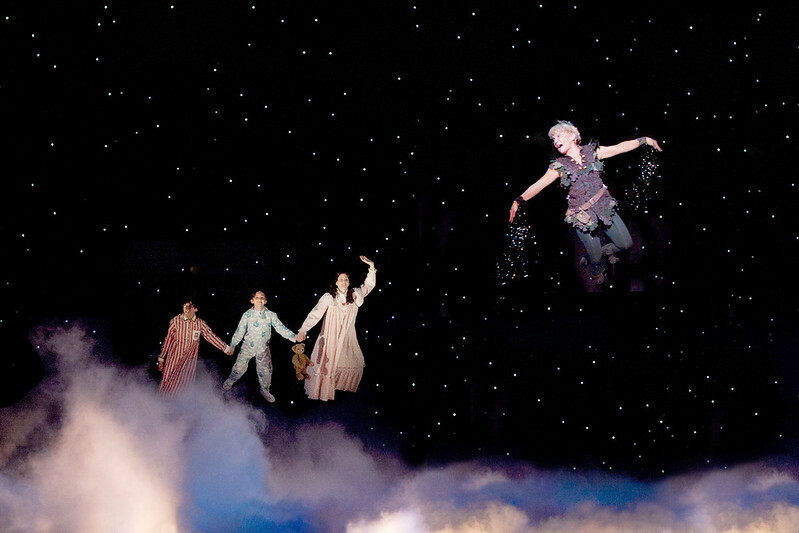 It's normal for me to feel glistening after seeing a Broadway show at The Aronoff, however the opening night performance of Peter Pan left me sparkling with fairy dust - literally! Image courtesy of Broadway Across America. 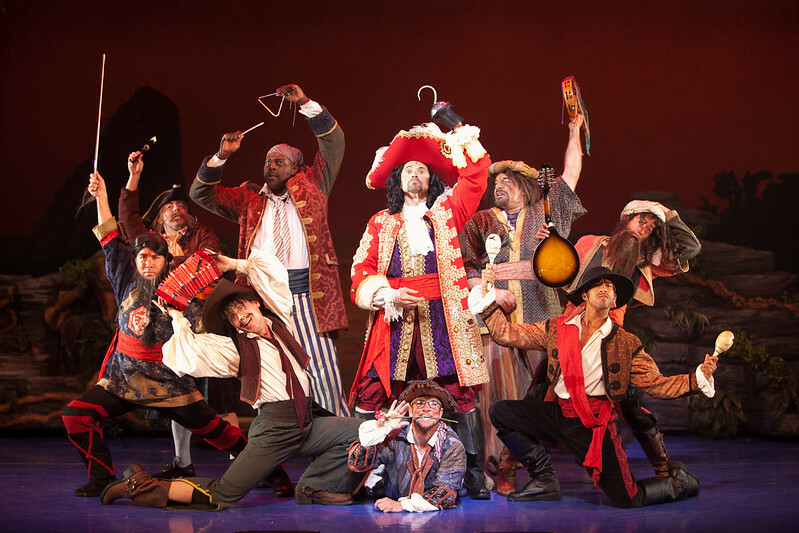 Great for adults and children alike, this classic tale revisits Neverland and tells the story of youthful imagination and never growing old. 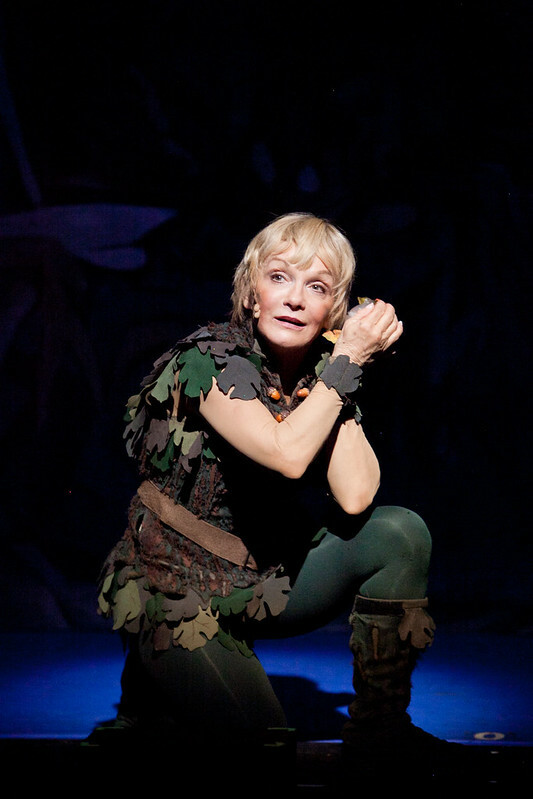 The original Broadway Peter Pan, Cathy Rigby, stars as the lead in an evening filled high-soaring actors, tumbling, and whimsy all-around. 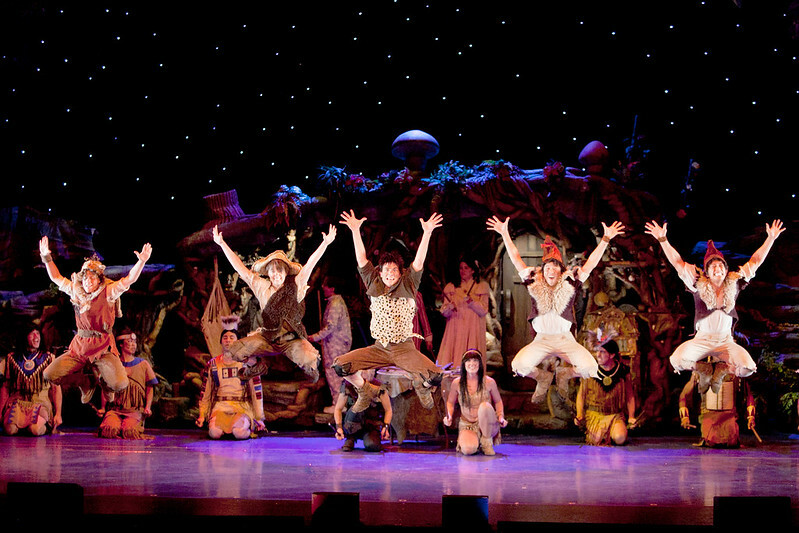 I was very impressed with the ensemble of The Lost Boys and the tribe, who brought stunning choreography and songs to the storyline. I also loved how the pirates seemed to be pulling sizable props out of thin air; I was fascinated! My favorite character of all was also the most minor: Nana the St. Bernard. This gigantic dog was played by a human in the most adorable furry costume, crawling around on the floor in canine-fashion. Prior to being cast as Peter Pan, Rigby was an Olympic Gymnast and was the first woman to win a medal at the world championships. 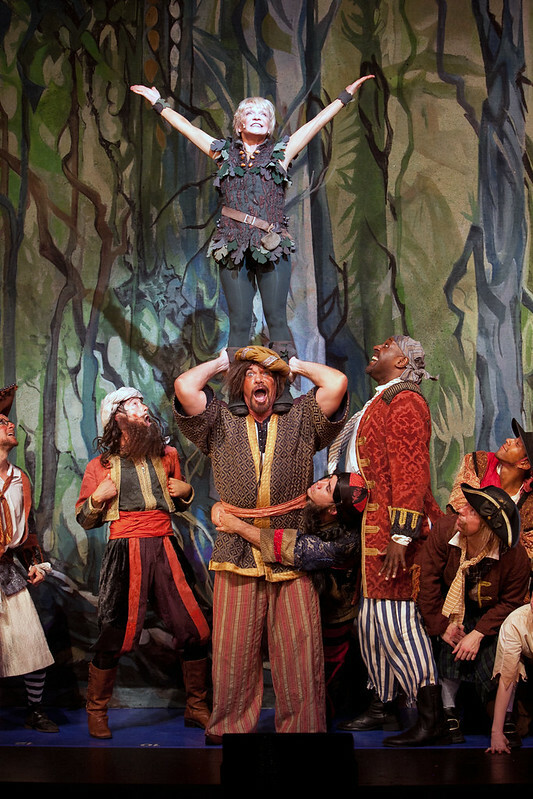 Upon retiring from competitions at age 20, producers approached her about starring in the musical. Although it was noted that she was a shy young lady still coming-of-age, Rigby embraced the role and it was a perfect fit. Forty years later, she is still performing as the boy who would never grow up. Yes, that's right. Cathy Rigby is 60 years old, flying around the room, doing somersaults, aerial flips, and everything inbetween. I can't imagine my 60-year-old parents moving like that. Heck, I wouldn't even attempt to move like that. 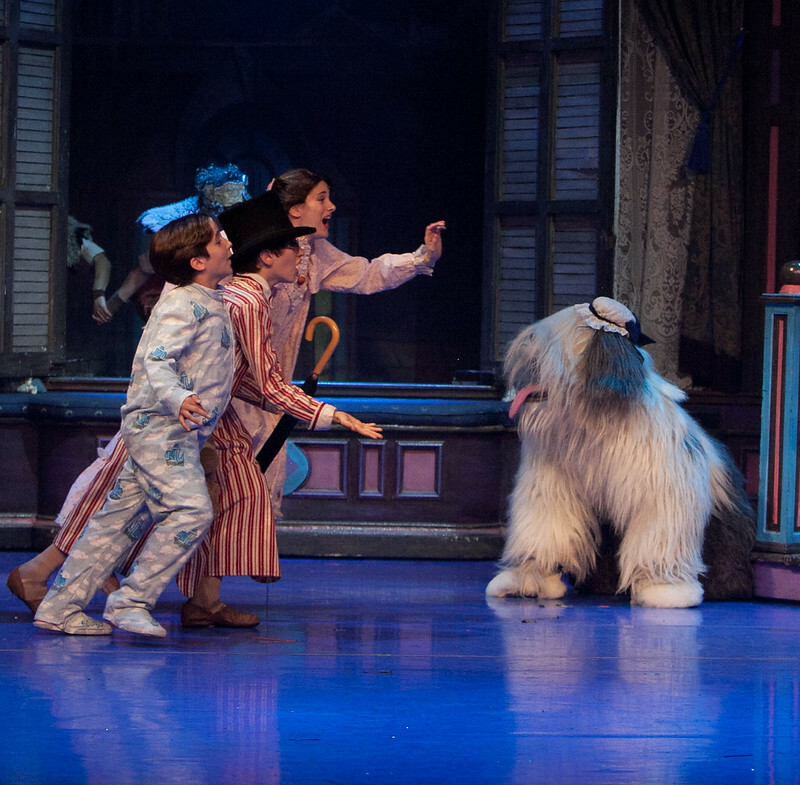 After all these years, Rigby still knows how to delight a room and make live theatre a magical experience for all. 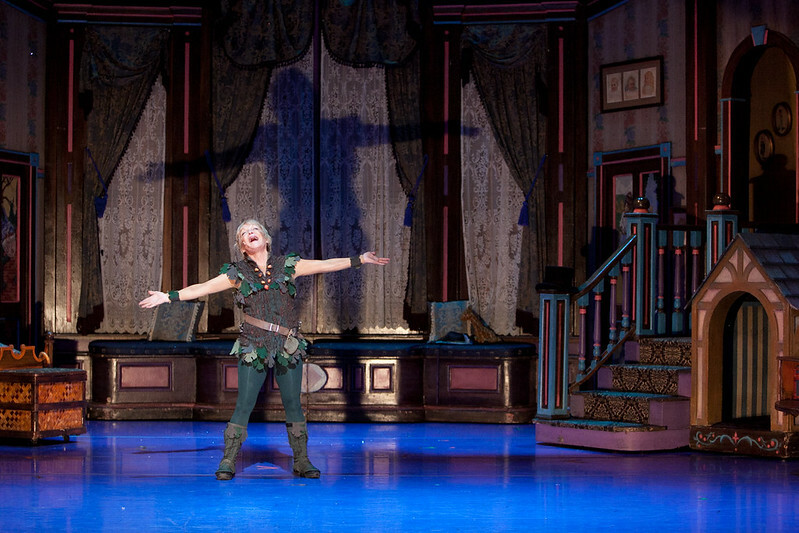 Peter Pan runs through Sunday, March 17, 2013 at The Aronoff.